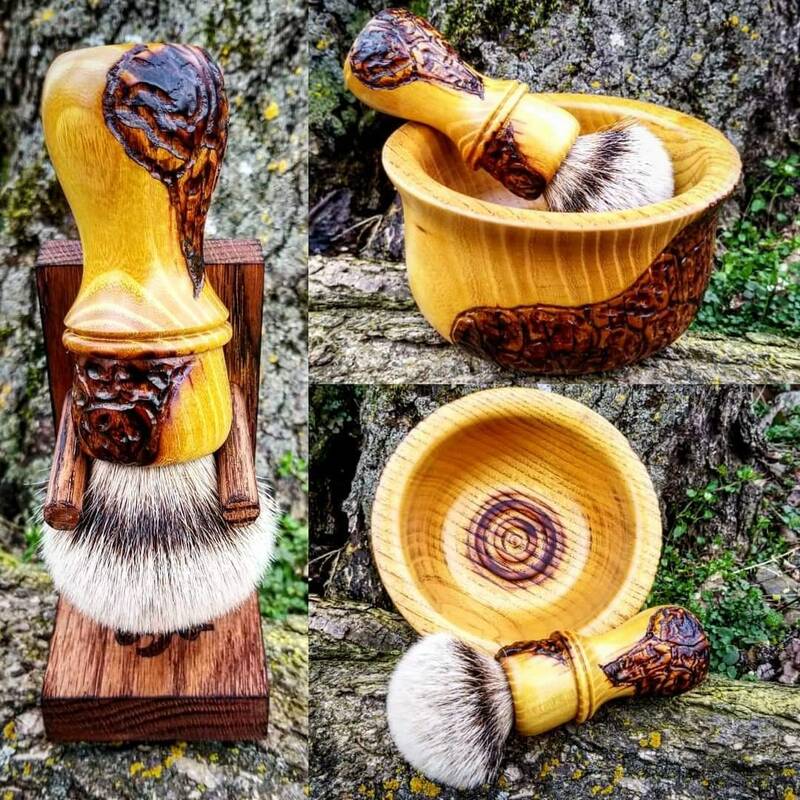 This custom set was handcrafted out of osage orange wood. Both items were textured then burned. 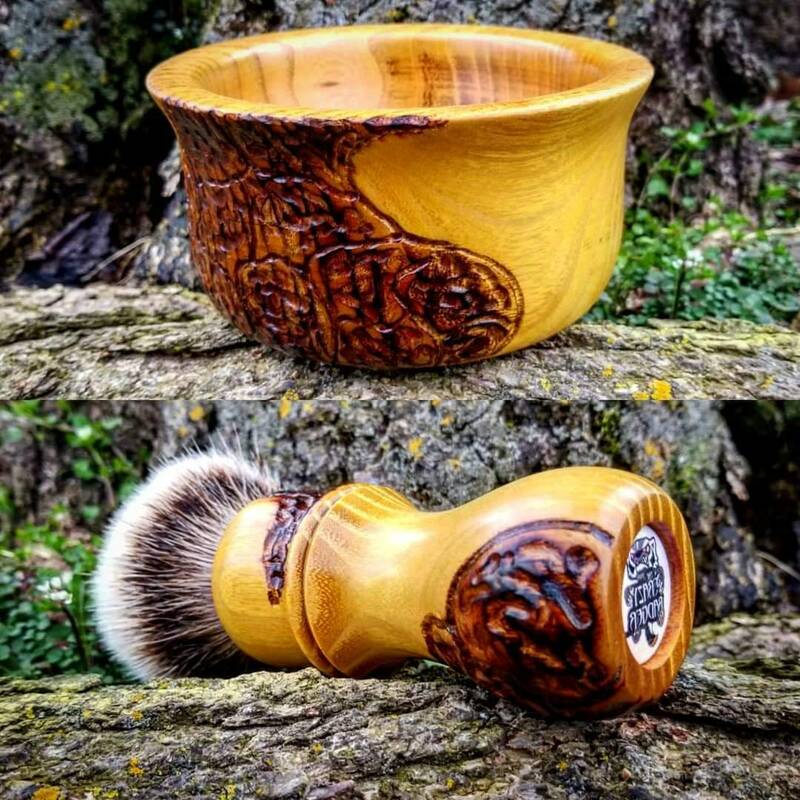 This beautiful brush was fitted with a 26mm Silvertip Knot. 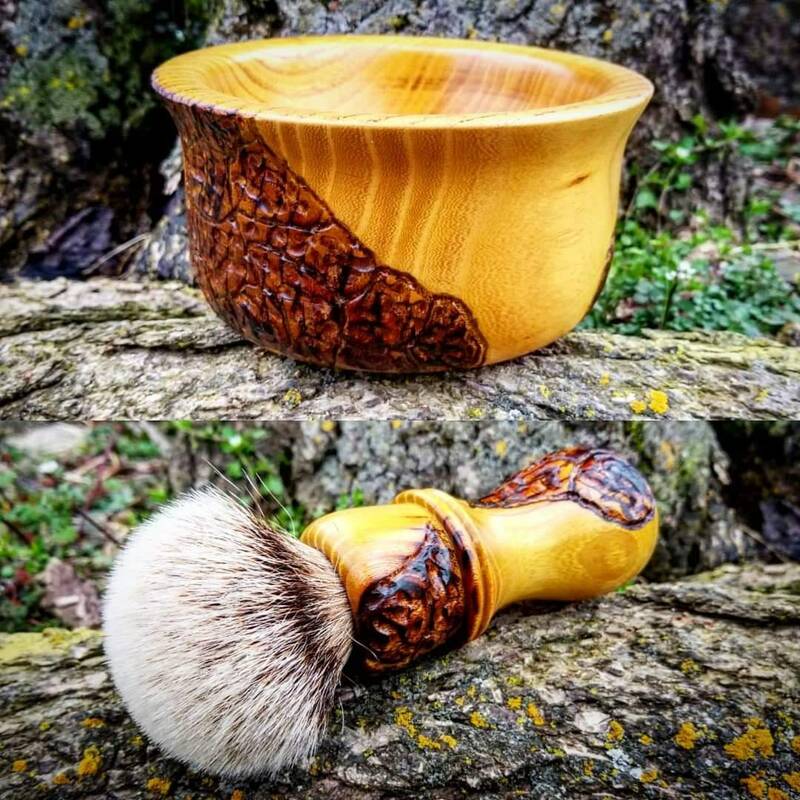 FREE custom Crazy Badger Shaving Brush.